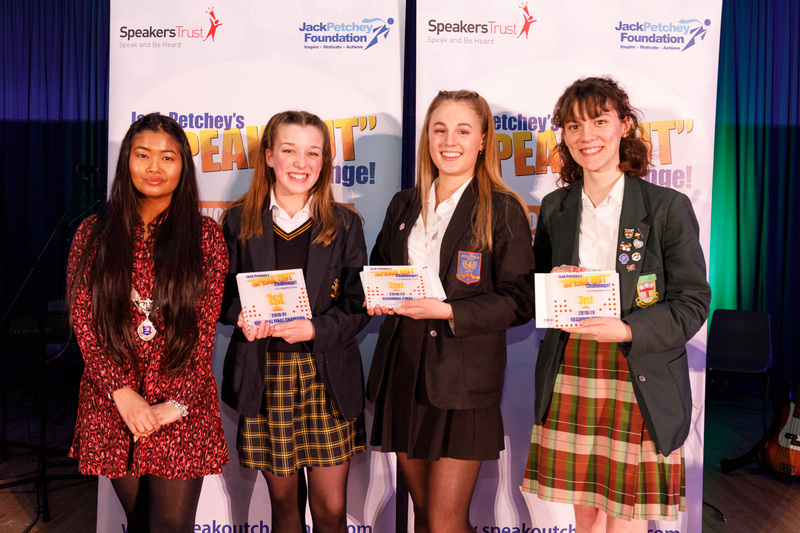 On the evening of Wednesday 3rd April 2019, Year 10 students’ Emily Wigg and Emile MacDonald represented Hollyfield at the Jack Petchey Speak Out Regional Finals this year held at Southborough High School. 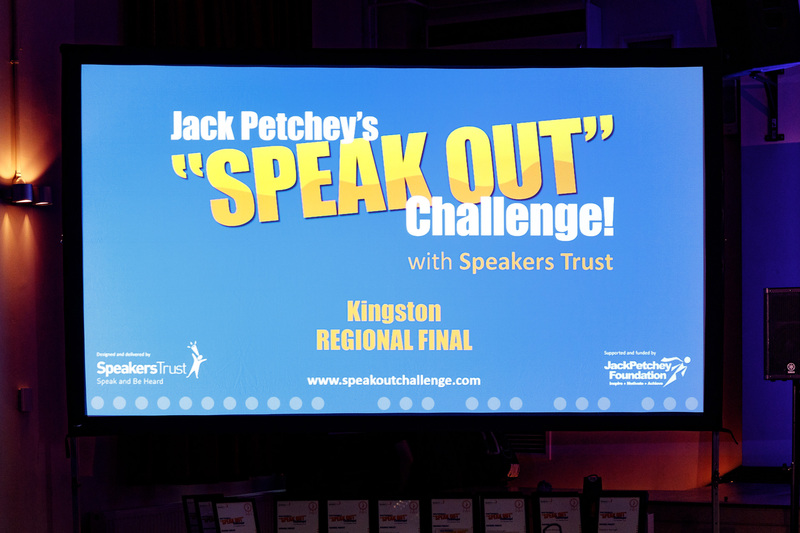 The public speaking competition is “the worlds biggest youth speaking event” designed to develop student’s communication skills whilst boosting confidence and creativity The event held annually gets better and better each year, so it’s testament to both our students’ who performed with both confidence and charm competing against 18 other students from all the secondary schools in the region. 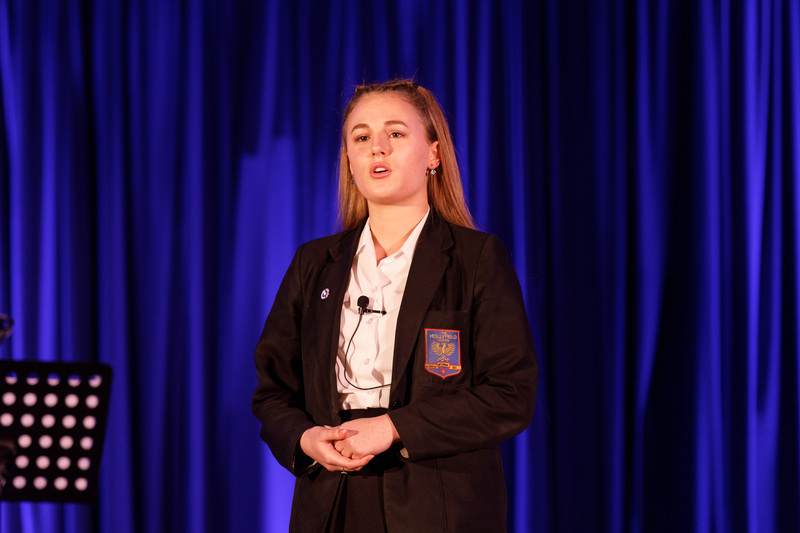 Emily’s speech on “The Volume of a Sphere” delved into our current education system, its current state and care of duty to prepare young people for an exciting future. 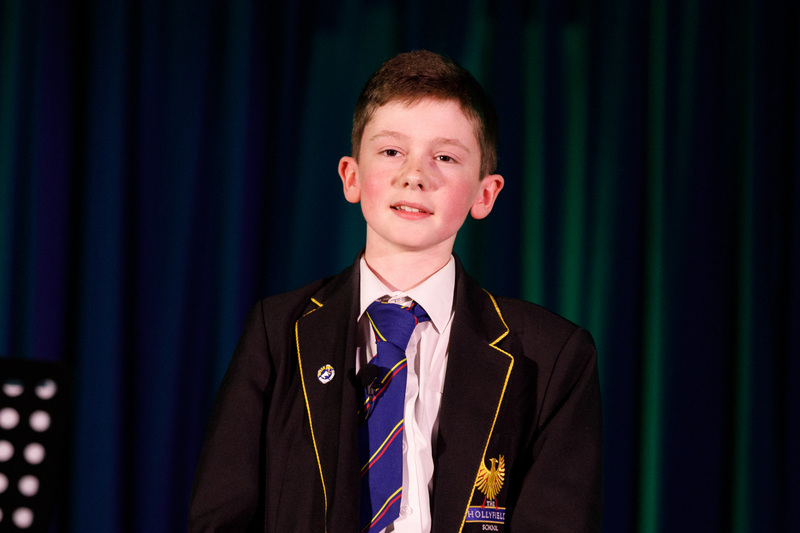 Emile’s speech entitled “Toast” featured a whimsical anecdote about sibling rivalry and bond; a coming of age story. 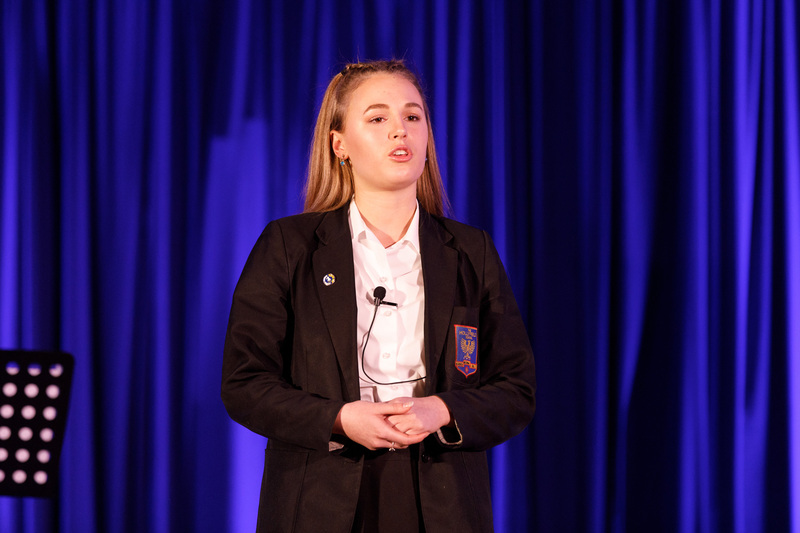 Both speeches were enlightening, thoughtful and superbly executed with each receiving a rapturous applause. 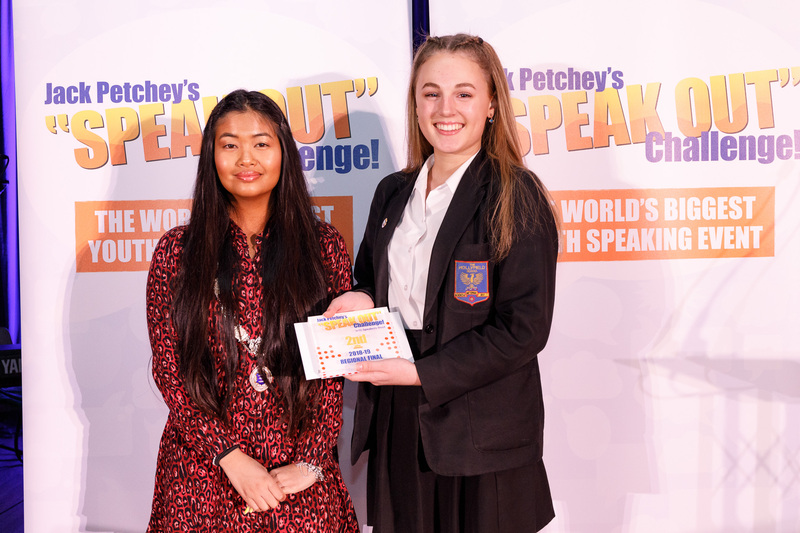 Emile was very close to getting a top 3 finalist placement and Emily was awarded 2nd place overall- the first time Hollyfield has achieved a top 3 placement. 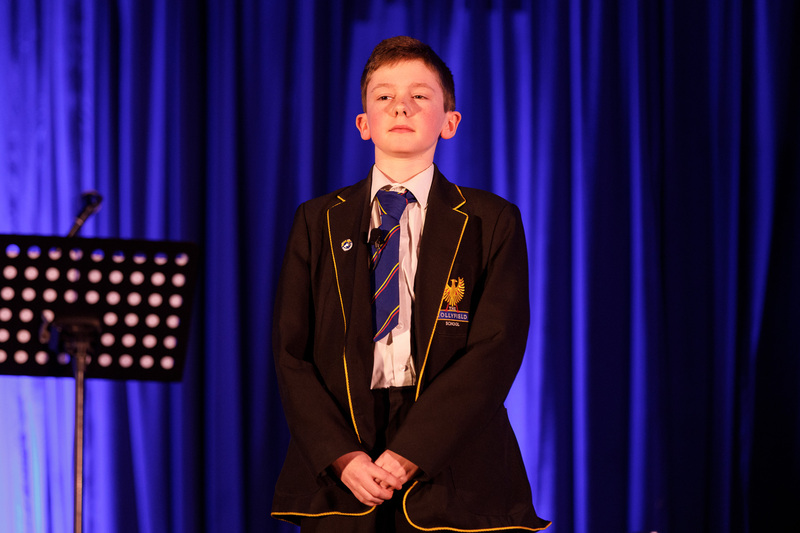 The school is immensely proud of these two students’ and it was a fantastic evening. 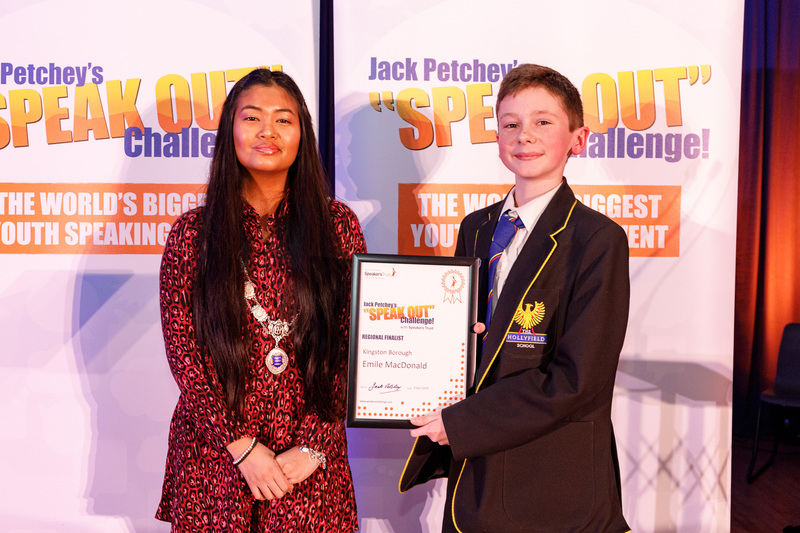 Well done Emily and Emile.